I hope that Bill Maher doesn’t mind I borrow the title of this post from that popular segment of his on HBO, but I do think the time is ripe for New Rules! for DOT physicals that is. As everyone should be aware of (by everyone I mean truck drivers, doctors, motor carriers, and any one involved in the trucking business) May 21, 2014 the compliance date when commercial drivers must use a medical examiner listed in the national Registry is a little over a week past now. The date is a significant turning point on how commercial drivers are certified. For the first time, drivers will have to go to a medical examiner who is formally trained and certified (by passing a written examination) on the physical qualification standards, and how to apply them in the evaluation of commercial drivers engaged in Interstate commerce. The Final Rule was published in the Federal Register on Friday April 20, 2012, with an effective date of May 21, 2012. The compliance date as mentioned was May 21, 2014. https://www.federalregister.gov/articles/2012/04/20/2012-9034/national-registry-of-certified-medical-examiners. The rule went into effect despite legal petitions to delay it (due to fear of the lack of sufficient medical examiners) by the Owner Operator Independent Driver Association and the American Trucking Associations. The FMCSA however, did not delay. Now the quality of commercial driver medical examinations should improve and the number of improperly certified drivers should decrease, as there are checks and balances built into the National Registry System to audit examiners. This is all for improved safety and less crashes of course, and it’s importance can not be underestimated as one can no more underestimate the importance of certified aviation medical examiners for pilots. Still, i get phone calls from drivers asking why they can not see their former physician who is not certified, or that they were unaware of the new rule. I also get phone calls from doctors who do not know what to do with drivers that have pending evaluations due to medical reasons and are waiting for lab work or other test results to return. Obviously, it is commendable that some of these practitioners were carefully evaluating their drivers (as they should), even before the National Registry of Certified Medical Examiners. However, such personal due diligence, though not a rarity is certainly not always the case. Nevertheless, it is unfortunate that they were less fastidious in ensuring that they became certified, and not interrupt the care of their drivers. These uncertified practitioners, though good doctors, will of course have to refer the drivers to a certified medical examiner to complete their work up. If that is not a good enough reason for them to go out and become certified, I don’t know what is. The good new is that it isn’t too late. They can prepare and sit for the National Registry examination and resume seeing commercial drivers once they become certified and listed in the Registry. 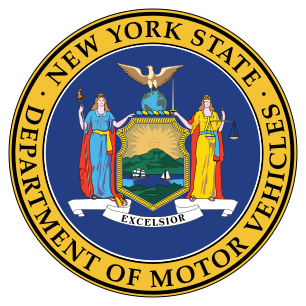 The Department of Motor Vehicle has made it clear that they will not accept any medical examiner’s certificates from a medical examiner who is not listed in the National Registry. I’ve had a couple of drivers come in for a repeat DOT physical examination because DMV returned their certificate which had no entry in the applicable National Registry field, since their doctor is un-certified. All US DOT Medical Examiner’s Certificates issued on or after May 21, 2014 must include the certified medical examiner’s National Registry number. DMV will not accept a Medical Examiner Certificate issued on or after this date without a National Registry number. DMV will reject Medical Examiner’s Certificates received without a National Registry number. This will delay a driver’s medical certification information being updated with DMV. Very informative blogs, thank you!